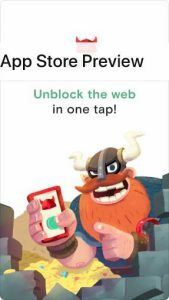 Opera VPN unblocks the web in one tap! Change your virtual location to access content from wherever you are in the world. Opera VPN is simple to use and is one of the fastest ways to browse the web and apps securely. Olaf loves to talk, so if you have any questions send us an email! All Opera Gold VPN features and unlimited bandwidth are included in the trial. The free trial period lasts for 7 days. The cost of the subscription is $29.99 USD a year. You won’t be charged until the end of your free trial. Subscription will automatically renew unless it is turned off at least 24 hours before the end of the current billing period. Your account will be charged for renewal within 24 hours prior to the end of the current billing period. You can edit your subscriptions and auto-renewal may be turned off by going to “Manage Subscriptions” in the side menu.